Pictured above from left to right: RYSE youth members and poets Marisol Lara, Nyree McDaniels, Carol Morales, Sukari Wright, and Leeah Thomas. We’re currently at $8,053 toward our $10,000 goal to celebrate 10 years at RYSE. Help us reach our goal. We’ve extended our birthday giving campaign until tomorrow—Friday, November 2nd—so there’s still a chance for you to give to RYSE! Donor gifts include anniversary commemorative posters, enamel pins, and T-shirts. Thank you supporters who have donated so far! Thank you to everyone who came to celebrate our 10 year anniversary with us at our first ever Club Night event on Friday, October 26th! Community members joined RYSE staff and alumni for a night of drinks, dance, delicious food, games, and fun to close out our month-long celebration. Check out some of the photos—all photos will be uploaded onto our Facebook page soon! This month at RYSE, we celebrated with with events including an open house, movie night, spa day, and more. Check out some of our photos, plus more photos from programs and workshops about Indigenous People’s Day, youth-led collaborative quilt-making, music making in our recording booth, and more! Geo accepts an award for his youth organizing work in Richmond at The California Endowment’s awards ceremony. 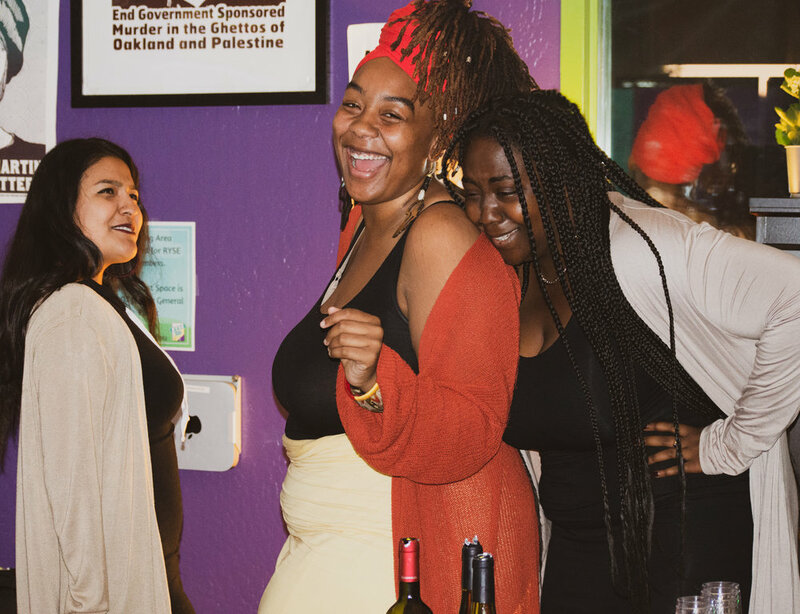 Listen Now: Learn about former youth members and current RYSE staff Gemikia Henderson and Dalia Ramos and their journey at RYSE on KQED Make/shift: "The Role of Community in Creating and Healing Trauma in Kids"
RYSE co-sponsors training on "How to Navigate Amidst Overwhelming Times"